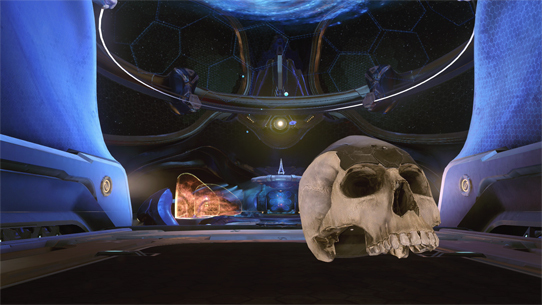 It seems like everywhere you turn this year, there’s another epic chapter being written in the annals of Halo esports. From OpTic Gaming’s statement success in the HaloWC – and Team EnVyUs’ unforgettable answer at HCS Daytona – to Splyce’s dominant title run at the HCS Summer 2017 Finals in Atlanta. 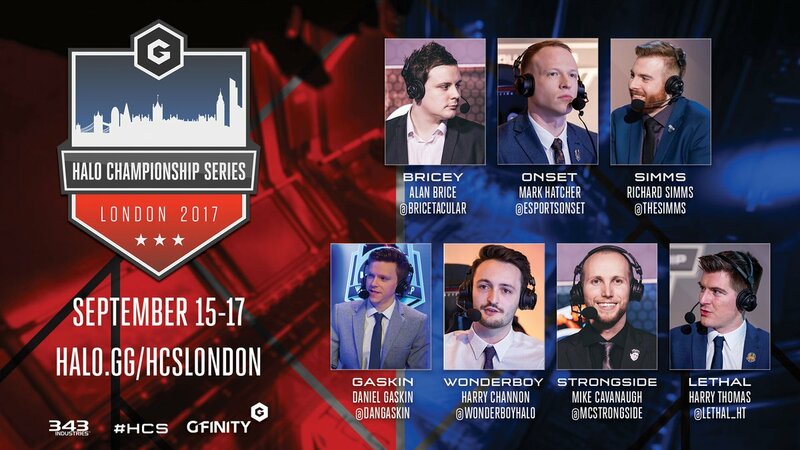 And now, a new chapter is waiting to be penned across the pond, as 32 of Europe’s best descend upon the stunning new Gfinity Arena for HCS London this weekend, Sept 15-17. We’re excited to share that HCS London team, FFA, and spectator tickets are completely sold out, and the event is shaping up be the biggest in Europe in quite a few years. The stakes? A $25,000 prize pool and the chance to punch a ticket to the HCS Fall 2017 Finals later this year in Denver, Colorado. To whet your appetite even further for the upcoming action, today we preview some of the top storylines to watch for, and get some early predictions in from some of the event's on-air talent. Coming off the recent EU HCS online cups, four squads have really turned heads, and stand to be the likely favorites heading into HCS London. Open Cup #1 saw Ramirez’s exceL team pull off a crazy Game 7 performance to beat Infused. 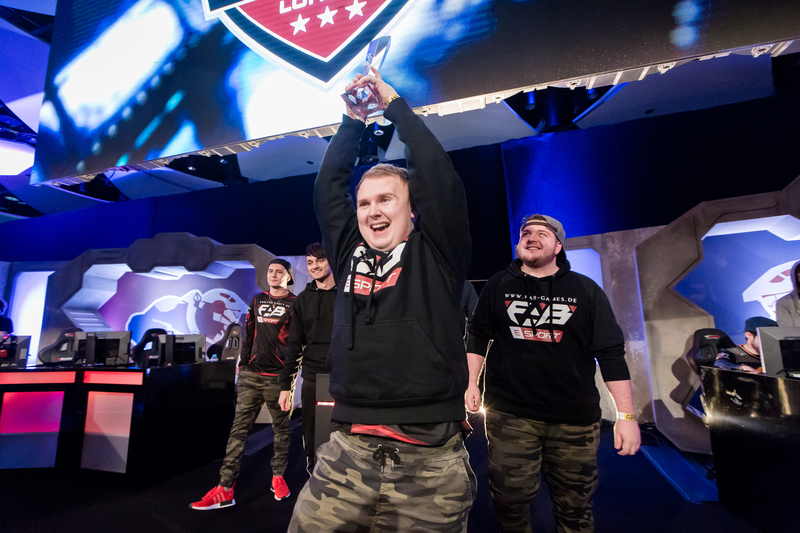 The following week, Team Infused fell again in the Winners Bracket finals, but staved off elimination by taking a second best-of-seven series to cement their place as one of Europe’s teams to beat – though the elimination bracket run served largely to prove the level of competition in this tournament. Add the vaunted French supremacy squad into the mix – notorious for their prowess and strong results at live events – and the stage is set for arguably one of the most unpredictable tournaments Europe has ever seen. Let’s hear from some of our incredible on-air talent as they discuss who they think will be taking the HCS London spoils and moving on to compete in Denver later this year. Team Infused signals the return of the core dominant FabE squad. Jimbo, Respectful and Mose return with former teammate Kimbo to try and reclaim their European throne. However, questions have already been cropping up following their initial Open Cup stumble, and Infused will have to dig deep to show the rest of the region that they still have what it takes to sit atop the pile. 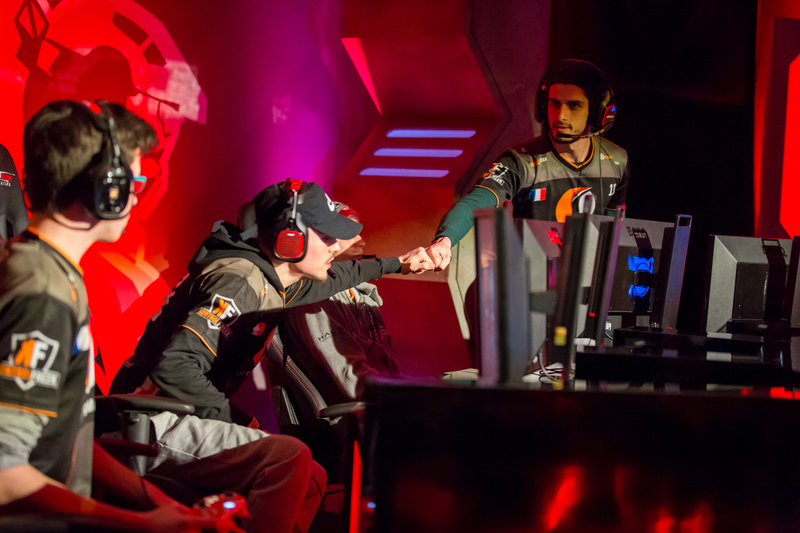 exceL have emerged as the main contenders to the Team Infused throne. 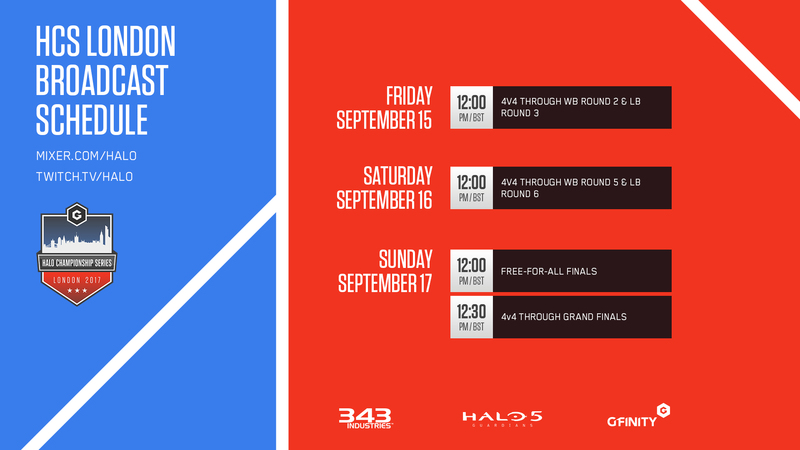 Alongside their captain Ramirez, Snakey, Phlux, and Snipedrone will be looking to take the Halo 5 crown out of the hands of Respectful and Mose and start a new chapter in European and international Halo competition. Vexed.eBuyer may be the underdogs going into HCS London, but the return of a fired up and practiced Riotz has inspired this squad. This team has one eye on American competition, and wants to silence some of the doubters who have questioned their abilities to play big when the stakes are high. 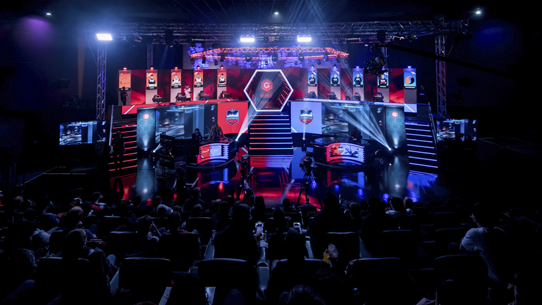 Supremacy had an incredible Elimination Bracket run at the previous Gfinity event, but recent team changes have affected the squad after a poor performance at Dreamhack Atlanta. Supremacy will want to bring the 'French Magic' to the big stage, with team captain SLG leading the way after some dominant performances the last time Europe battled under the bright lights. All four members have starred on title-winning FabE rosters previously, and showed a classic champion’s resilience by winning Online Cup #2 after losing the first one. What makes this feat even more impressive is the fact they had to win two best-of-7's in order to do so; a fact that that for me answers a lot of the questions I had about their mentality going in to HCS London. While I still think this roster is lacking a pure play-caller, as strategically at times have looked vulnerable, coach Havoc has been putting in unbelievable hours and might be a key piece of the Infused puzzle. Going toe-to-toe with Infused in every Online Cup, exceL are the only team so far to beat Infused in competitive play and their Online Cup #1 performance makes this team the biggest threat to Infused's tournament. They have had incredibly close games every series vs Infused, but it just feels like the difference in individual talent between the two might be the difference maker in London. I think Vexed.eBuyer and Supremacy are both a step off the pace of the top two teams; both have the potential to take games in a series, but I would see it as a big upset if either of them were to beat Infused or exceL in a full series overall. Riotz is probably the most improved member on this team from the Summer 2017 season and is a menace individually. Looking forward to their series vs Supremacy, third place feels right for this team. Any higher would require them all to be absolutely on fire individually. Missing Solar from this lineup is a big loss, and poor performances in Online Cups lead me to place Supremacy in the fourth spot. Would love to see SLG hit some form once more with the sniper in London, which might spark a higher placement from this lineup – however it would take a serious shift as a unit to take a series vs one of the top two teams. This almost feels self-explanatory as this squad seems too good to not garner a first-place prediction. In reality, most would likely consider it a serious disappointment for them to finish any lower. There is so much potential for this team – Rami has always been one of the best leaders, snakey is an all-rounder, snipedrone is incredible – especially with proper direction from a captain – and phlux has outstanding individual skill. This squad has so much talent and riotz is beginning to look like his old self. He's had a series of underwhelming showings for a while now and wants to prove he can still do it. Add to this a young squad behind him with plenty of desire, and you’ve got a recipe for a contender. The return of a BUK! A surprise inclusion; I didn’t expect this team. zhuh and morg have been hungry all year and the experience of buk20 and septic may just help them punch a ticket to their first American event. HCS London will feature 32 of the best teams in Europe battling it out for gain and glory. 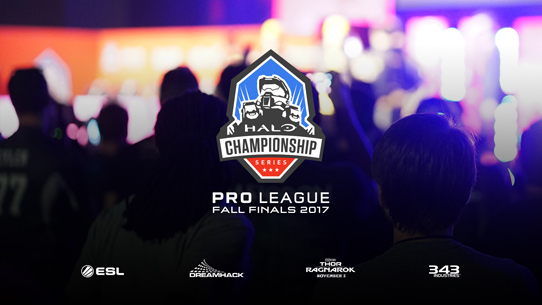 All 32 squads will be playing in one open bracket, with the overall winner pocketing a cool $10,000 USD, and the top three teams earning a trip to Denver, CO for the HCS Fall 2017 Finals via a double elimination bracket. HCS London will feature both 4v4 and FFA tournaments for any players residing in Europe. 4v4 matches will feature Best of 5 and Best of 7 series, and players will compete on the Fall 2017 map and gametype settings. For more in-depth details and background on HCS London tournament format, check out our latest Format Update feature HERE.